Because, as we all suspected, the ad industry distributes malware. Malware on Macs has increased dramatically. Adware is software that displays ads on your computer, collects marketing data about you (like what websites you visit), and can redirect your search requests to ad websites, among other things. Most adware is supposed to do this with your consent, though gaining consent is hazily defined these days—and it’s the nature of adware that users don’t typically know it’s on their computer because the files don’t readily appear in their system. Malicious adware operates without your consent, and in this context it’s considered a “Trojan spyware” kind of infection. Blame “adware bundling” on the recent spike. I’d argue that adware and spyware are indistinguishable and both are equally harmful, though the online advertising industry would insist otherwise. Because, you know, what they’re doing isn’t technically illegal. Adware lands on your Mac by way of free software and your visits to tainted websites. An adware infection might appear in the form of an app you don’t remember installing, or weird activity when you browse the internet, such as pop-up windows going nuts telling you that you’ve been infected with a virus. You can clean your Mac with an app such as Malwarebytes Anti-Malware for Mac, or do it manually. 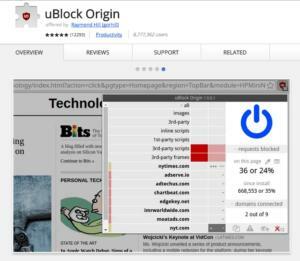 Using a robust ad blocker (like uBlock Origin) and enabling a pop-up blocker on whichever browser you use can serve as safeguards. 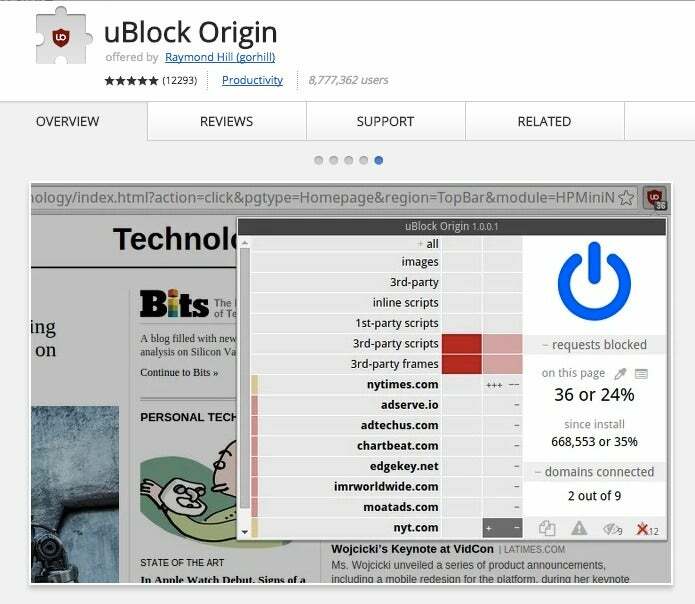 An ad blocker is your best defense. Infosec cultists can still gloat that Macs are generally safer, even if they’re not at a price point everyone can access. We still want our less tech-savvy friends and family using Apple products for security reasons. But Apple’s defenses clearly aren’t catching everything, and pretending like nothing can happen is going to harm more than it will help. 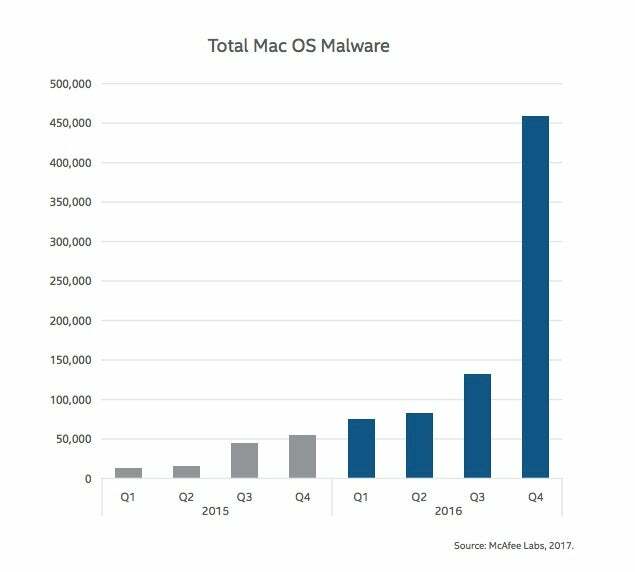 Of the 630 million total instances of malware that McAfee found last year, only 460,000 of them were Mac. Still, there have been some grave attacks on Macs recently, like ransomware, password-stealers, infections that steal iPhone backups, and more. 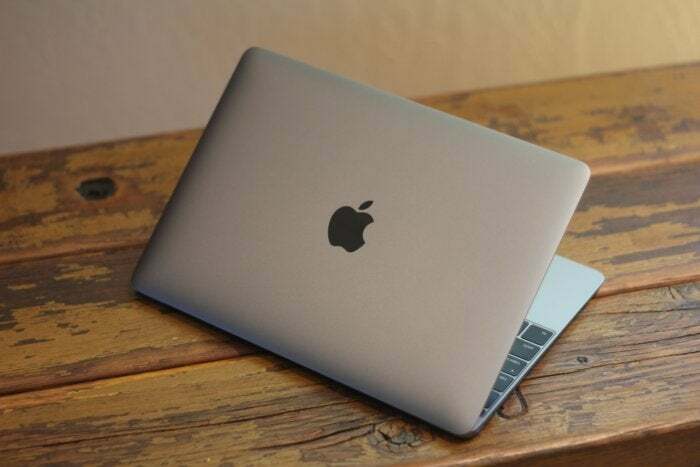 So yes, we need to kill the myth of the perfect, impenetrable Mac. 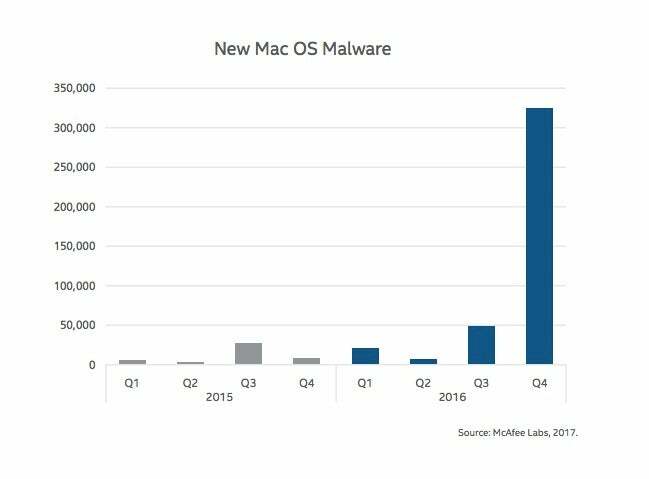 Even if McAfee’s findings show that the amount of malware designed for Mac is still small(er) potatoes by comparison. We don’t need to worry that much.